Within the NLP model, we speak about anchoring, you probably know it as the plain old conditioned response of Pavlov and his dog fame. Before you decide that you know all about it, and that maybe your experience of using anchoring as a technique hasn't been great till now, I'd like you to think again. Ever experienced a day when your moods shift and change, sometime almost minute to minute? 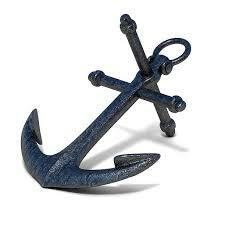 You have experienced the power of anchoring. Remember driving towards a traffic light and before you have had chance to 'think' your foot is moving towards the pedal? You have experienced anchoring. Thinking back to times when wearing certain clothes, smelling a particular aftershave or feeling the sand between your toes......and noticing how your feelings are are shifting and changing, right? Learning how to put this powerful phenomena called anchoring to work for you is one of the skills that will be unlocked through mastering the model of NLP. As birth workers you already know the internal power that awaits a woman as she gives birth, using the power of anchors in conjunction with these evolutionary forces is a potent force indeed. If you are interested in learning the model of NLP and in the many ways in which knowing and practicing it can enhance your work as a birth professional this 8 day training may be for you (2019), click the button below for more details.